My first time sailing !!! On Friday the 27th August I was lucky to spend an amazing day on the April Dawn. 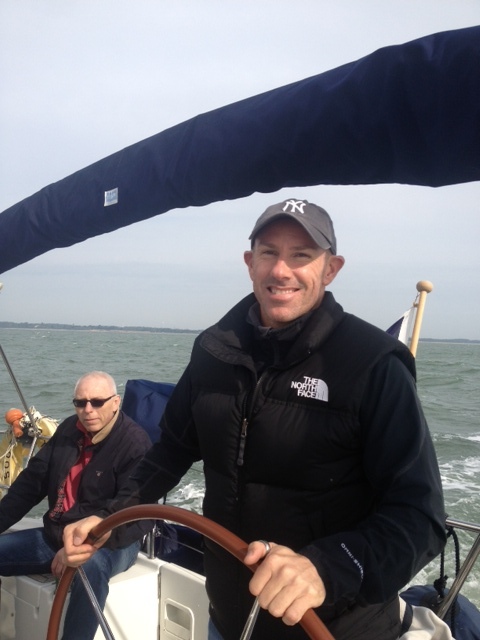 When Nick (someone I train) invited me I was so excited as this would have been my first ever time on a yacht- weird for a bloke from NZ !! I met Kim (someone else I train) first thing we drove down to Mercury Marina Hamble ready for a full on day !! After a bit of a run down from the Skipper we set off and I got a glimpse of why these guys love sailing so much. Nick and Kim are in a team that compete at a National and World level so they are both old hands. I didn’t realise how full on it can be but we had a great crew of guys and they were really awesome to learn from and hang out with. We stopped for an awesome lunch at ‘Saltys’ where a few vino’s and dark’n’stormy’s went down well. It was my first time so I got to write my name on the ceiling. Then back on board for a quick journey back and as we had the wind this time it was nice and fast. I got to steer the boat for a while and fulfilled a little childhood dream !!! I have to say a special thanks to Nick Stagg for inviting me and organising an awesome day and Kim Ridge for a fun drive down, good banter ,teaching me a few things and a fun day as well. 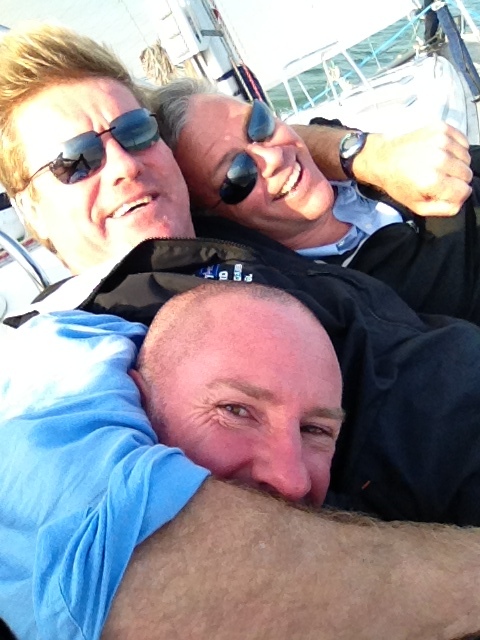 This is a pic of the three of us at the end of the day…good times !! Previous post ← Sugar – The most addictive drug ever ?